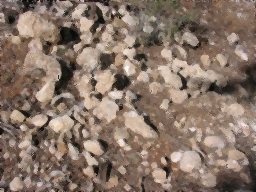 The Median filter is used to remove noise from an image by replacing pixels with the middle pixel value selected from a certain window size. The center pixel would be left at 77 since 77 is the middle value of the sorted list of pixels. The median filter is very effective at removing noise while not destroying sharp edges in an image.